In order to better serve you we accept all major insurances including but not limited to medicare and medicaid. Please complete an application to determine program eligibility. Our staff will be happy to assist you with completing these applications. We take special care to understand the unique needs of each of our patients. All of our centers serve patients regardless of their ability to pay. 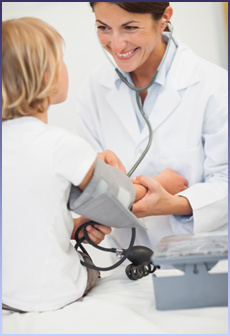 We offer discounts for essential services, depending upon each patient's family size and income. This program helps ensure that no financial barriers to healthcare exist. It is available to uninsured or under-insured patients with limited income. Patients pay a nominal fee based on income and family size. Households must meet eligibility requirements based on federal poverty guidelines. All patients must meet with the Patient Benefits Coordinator to apply for this program. Click here for the Sliding Fee Discount Program Form & information. PAPs are services offered by pharmaceutical companies for those who cannot afford their medications. This program is available to low-income individuals or families who are under-insured of uninsured and are provided to those who meet the eligibility guidelines. Assistance may range from reduced cost or drugs to free medicine. Each drug that is offered will have its own program and may meet different eligibility requirements. Patients should speak with their provider's nurse for additional information. Available for women who meet the requirements. The program provides annual exams, pelvic exams, PAP tests, breast exams, birth control, pregnancy tests, STD testing, etc. This program is available to women who meet the eligibility requirements. Patients may speak with the family planning nurse for additional information. Patient's cancer screening services are offered to patients age 25 to 64. Users of this program must meet income eligibility guidelines and be uninsured or under-insured. The program offers free or low cost mammograms, PAP tests, and breast and cervical diagnostic testing to those who qualify. Patients may speak with the BCCSP nurse for additional information.